When I went to CES last month, I didn’t actually have a chance to do everything I wanted to do. There were some thing I was not going to miss though, and hanging out in a hotel room with all the latest products was definitely something I made sure to include in my schedule. As soon as I walked in, I went straight for the Horizon 2. I love the current Horizon, which is my favorite family computer right now. It’s a great size, perfect for gathering around the computer to play games or just to browse through pictures as a family. The Horizon is the perfect device for this. With the Horizon 2, not only have they made some great improvements in the Aura interface, but they have also made this new version thinner and lighter than it’s predecessor. This is a big improvement for me, since I’m usually the one that has to lug the current Horizon around. 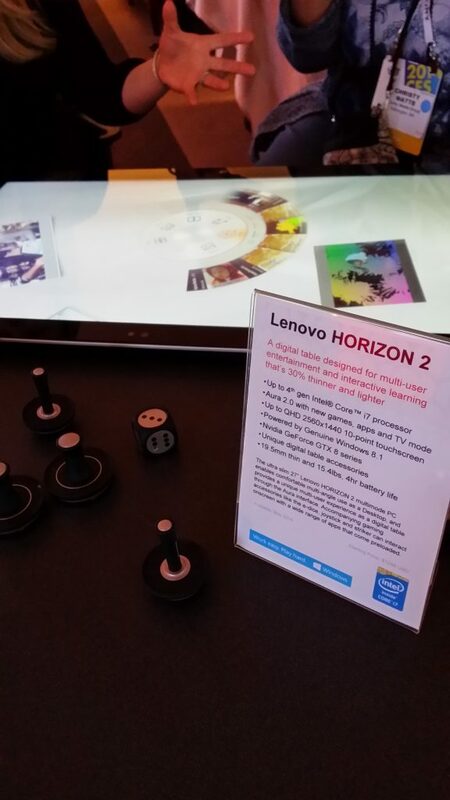 As the Lenovo rep was demonstrating the new interface for the Horizon, she displayed a feature where she would just shake her cell phone and essentially “throw” pictures from the phone to the computer. This device just keeps getting better and better. I can’t wait until it comes out later this year. Now, when I think about Lenovo, I don’t automatically think external hard drives, since they are the #1 PC vendor in the world. 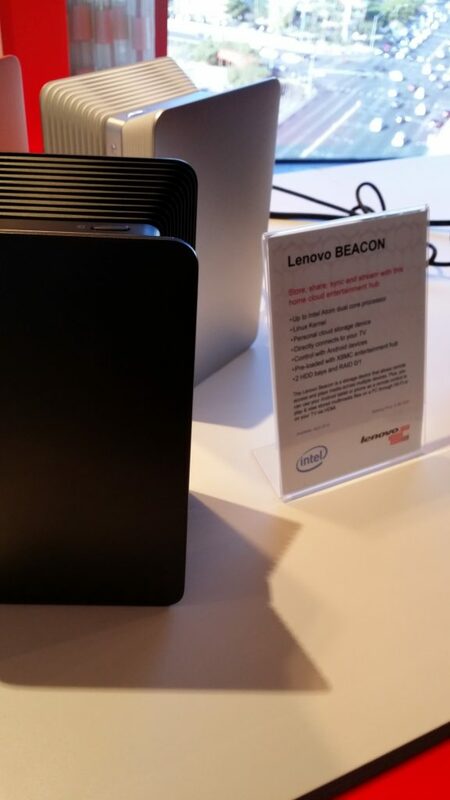 They have something new up their sleeves this year, though, with the Lenovo Beacon. Think about Dropbox. With Dropbox I can take a picture with my phone and have it automatically upload to the service. The downside is that what happens to you if Dropbox ever goes out of business? The other problem is that with Dropbox, depending on how much space you are taking up, you are going to have to start having a monthly fee to store your precious files and photos. 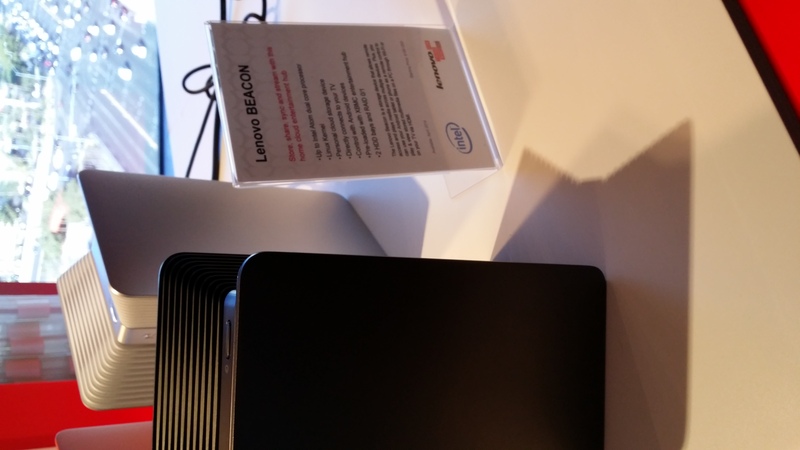 Lenovo Beacon acts just like Dropbox, but it’s a device that lives inside your home. You have full control over the data on the device, and you won’t have a monthly fee to store it there. The other awesome thing, is that not only can it act like a personal cloud storage, but it can also act as a local media server. What this means is that as you start having more and more digital media, when you are in your home, you need a centralized location to access that media. Whether it’s streaming your UltraViolet movies, or streaming your music to your web enabled TV, you can access it all from the local device. I’ve always had a problem with just keeping my data in one location. External hard drives fail, cloud storage companies can go out of business, and I’m a huge stickler for backups. One thing I love about the Beacon is that you can set it up with a RAID configuration which can mirror multiple hard drives to each other. So if one hard drive fails inside the device, the other hard drive still has all of your data in tact. You then have some time to replace the failed hard drive and mirror the data back. It happens automatically in a RAID configuration, and automatic is the best way to go. 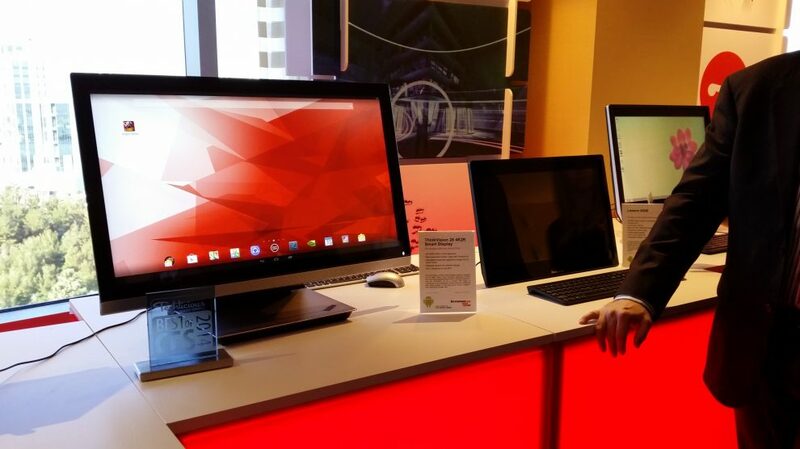 One of the most exciting devices I saw at the Lenovo suite (while of course not quite as exciting as my fav, the Horizon 2) was the ThinkVision 28 (image at top) It’s the first full blank monitor, and can act as a touch screen monitor for your new computer, or an external monitor for your laptop. 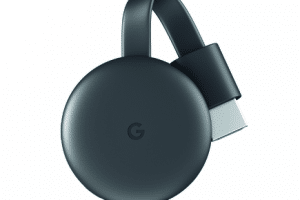 The added bonus on this device is you can switch it’s mode, and access a full Android interface. All the apps you love on your tablet, on a huge interface, with the option to switch to a plugged in PC. It’s literally the best of both worlds. The screen resolution on this thing was out of this world amazing. We watched a full HD video, that made me feel like I was right there inside the screen. The last device that really got my attention was this new Miix 2. Some devices that are built to be tablets (that just happen to have a keyboard to double as a laptop) focus too much on the tablet part, and don’t put the specs to make it a great laptop. Other devices that are built to be laptops but can remove the keyboard to double as a tablet fail a little bit on the tablet part as far as battery life and weight. This is the device that gets the mix exactly right. 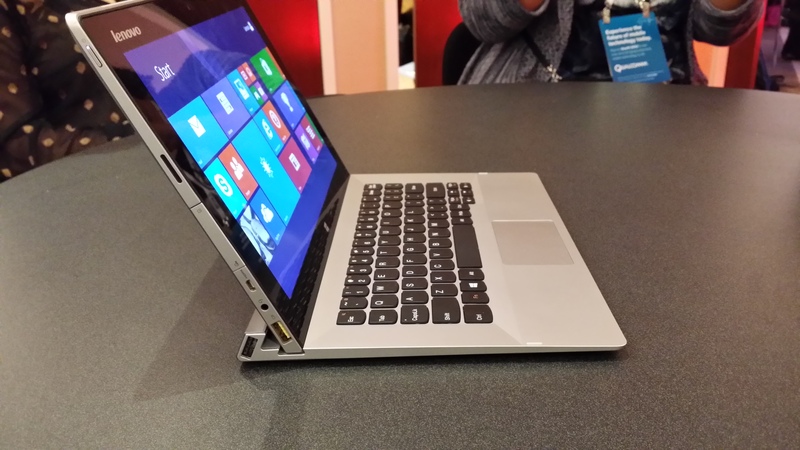 First, it closes just like a regular clamshell laptop with some magnetic help, for easy portability. It clicks into the keyboard dock extremely fast and easily. Then you can flip it around to be more of a stand mode, and the speakers for the device are right there in the bottom bar. I have definitely given Lenovo credit lately for turning space in devices into something functional. Like in their Yoga Tablets, the large battery becomes a great handle for the tablet, which makes it feel really great to hold. I just love the way they take something that could be a great design element, and then make it totally functional, like this speaker. So, there are a lot of exciting things coming out from Lenovo, and I couldn’t be more excited about this year! What would have been your favorite device of the above? Disclosure: This post was written while part of the Techlicious Lenovo Moms program, for which I was compensated, but was not told what to write about or what to covet, which was pretty much everything in the suite. Sprint Samsung Galaxy S4 Mini Review and Giveaway!